The ET reported that Ajay Singh and JPMorgan are in touch with representatives of SpiceJet's majority owner Sun Group, which it said was keen to exit the airline. A fund managed by JPMorgan Chase is in advanced talks to partner with carrier SpiceJet's co-founder for a planned $200 million investment into the cash-strapped airline, the Economic Times reported on Thursday, citing unnamed sources with knowledge of the discussions. 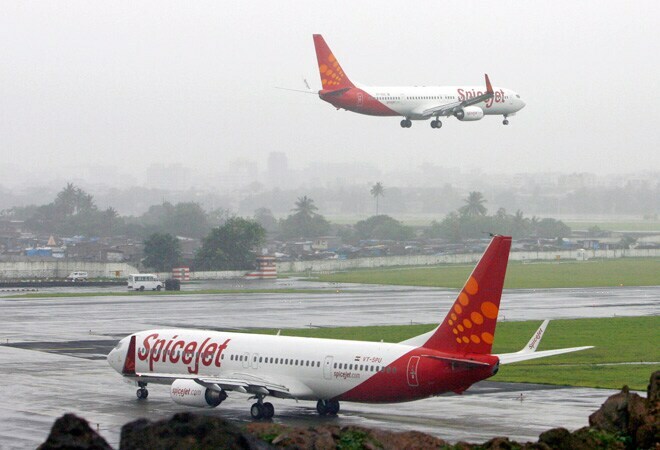 Ajay Singh, who helped set up the low-cost airline in 2005, is leading a rescue plan for SpiceJet and has met with aviation ministry officials to discuss a revival plan. He is looking to partner some US-based private equity investors to help fund the airline, a government official told reporters on Monday. Singh and a Mumbai-based managing director of JPMorgan's Asian Infrastructure fund met with senior officials of the aviation ministry on Tuesday, the newspaper said, citing an unnamed government source. The business daily also cited sources saying that Singh and JPMorgan are in touch with representatives of SpiceJet's majority owner, billionaire Kalanithi Maran's Sun Group, which it said was keen to exit the airline completely. Sun Group has said it cannot afford a bail out after sinking $400 million since buying it in 2010. Local media have named private equity firm Indigo Partners and TPG Capital as among potential investors with whom Singh has held talks. Ajay Singh, the JPMorgan Asian Infrastructure fund, TPG Capital and Indigo partners were not immediately available for comment.